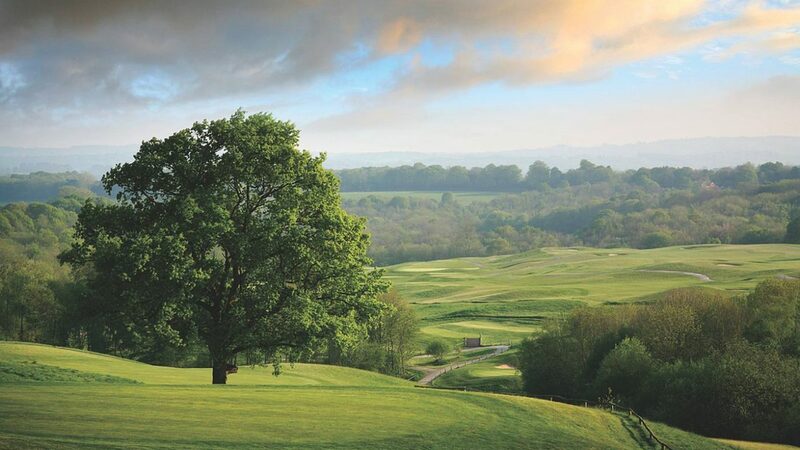 Dale Hill Hotel and Golf Club is situated deep in the Sussex countryside in over 350 acres and is the perfect setting for an enjoyable golf and leisure break. Royal Tunbridge Wells is a short journey away by car and offers excellent shopping and visitor attractions. Dale Hill offers every amenity and your comfort is ensured with 50 luxurious en-suite bedrooms, indoor swimming pool and fully equipped health club. The restaurant boasts panoramic views and we also offer excellent conference and banqueting facilities. We have two beautifully appointed golf courses. The Dale Hill Course (5,856 yards, par 69) lulls the unsuspecting golfer into a false sense of security over the front nine before presenting a more demanding test on the back nine. The par-71 Ian Woosnam-designed Championship Course which is the first course designed by the former US Masters Champion and former Ryder Cup Captain. It is 6,512 yards long and represents a tough but rewarding challenge. The course opens with a 602 – yard testing par 5. Dale Hill offers packages for societies and corporate days throughout the year. We have a range of options available or we can create a bespoke package to suit your requirements. Society Packages including Coffee/Tea and Bacon Rolls, 18 holes of golf and 1 course Lunch. Take A21 from Hastings or from Tonbridge to Flimwell. Move onto B2087 (left from Hastings, right from Tonbridge). Hotel and golf club one mile on the left. 50-bedroom hotel on site. Leisure club. Leisure club, four conference rooms.